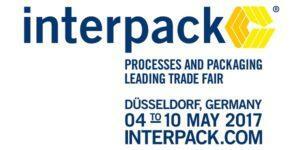 Come visit us at Interpack Processes and Packaging Fair in Düsseldorf on 4th-10th May 2017. Our well-known business partners, like Hapa, Herma, Laetus and Romaco, will of course be participating – and we in PPS are ready to meet with you and show you around the fair. An easy and safe opportunity to get updated knowledge from an exciting day at Interpack 2017!